Ref: 1655 Lovely 2 Bedrooms, 2 Bathrooms Apartment with Master Ensuite, Nueva Andalucia... Nice sunny terrace overlooking the pool. Fully fitted kitchen, A/C, nicely decorated. Communal parking in enclosed grounds with subtropical gardens and pool. Just 3 minutes to the beach and 5 minutes walking distance to Puerto Banus. Excellent rental property for all year round residence. Price Long Term: 875 euros/month. Short Term P.A. Ref: 1648 Large 3 Bedroom Townhouse - Rodeo Alto, Marbella.. furnished within walking distance to Puerto Banus set within a gated community with communal pool and gardens. Available on a long term rental bases. Built:175 m2.terraces and large solarium, storage. Price: Long Term 1400 euros/month. Ref: 900 Lovely Penthouse of 2 Bedrooms, 2 Bathrooms with Sea and Mountain at Terrazas del Rodeo... Furnished and fully equipped kitchen. Community Sat TV. Three large pools, paddle tennis court, beautiful interior gardens,closed development with 24hrs security, system of alarm,.2 parking spaces in the basement. 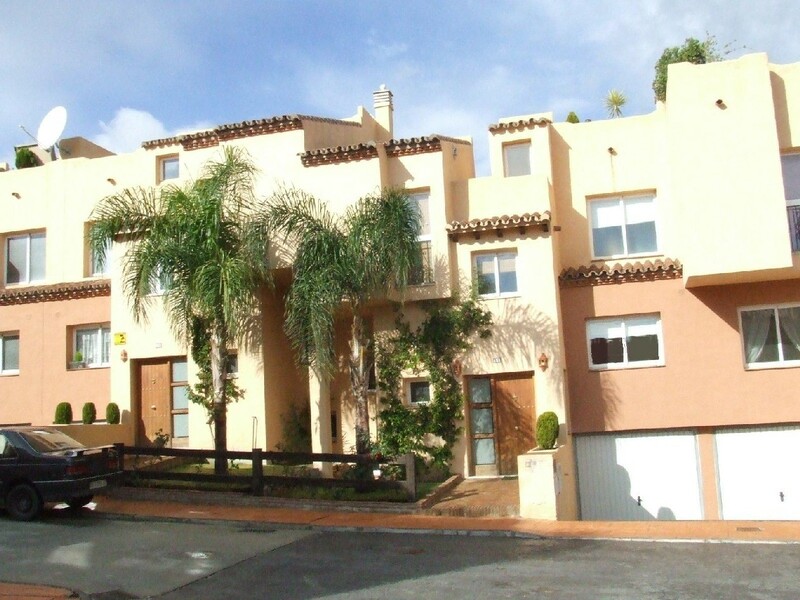 Quite area 2 minutes to Puerto Banus and the beach Price: Long Term 1000 euros/month. Ref: 1694 Lovely 2 Bedrooms, 2 Bathrooms Garden Apartment, Nueva Andalucia... Nice south facing private garden sunny with lots of sun. Nicely decorated lounge with separate dinning area. Fully fitted kitchen, A/C, nicely decorated. Communal parking in enclosed grounds with subtropical gardens and pool. Just 3 minutes to the beach and 5 minutes walking distance to Puerto Banus. Excellent rental property for all year round residence. Price Long Term: 975 euros/month. Ref: 1947 Nice 3 Bedroom 2 Bathroom villa - Marbella....in a well-established community on a plot of 950sq.mts. with 195 sq.mts built on 2 levels. Large dinning room and lounge with access to a large south-facing terrace with garden views and partial sea views. Five minute drive to down town Marbella. Price: Long Term 1800 euros/month. Ref: 1724 Lovely Beach Side Penthouse of 4 Bedrooms, 4 Bathrooms in Las Adelfas, San Pedro Alcantara.... The property has 191 sq. mts including a big terrace with sea and mountain views. Communal gardens, 2 large pools. Security 24hrs. Fully furnished, A/C, Sat TV, fireplace, BBQ, Solarium, Jacuzzi, double parking in basement. Price: Short Term Only. Ref: 2585 Fantastic 3 Bedroom, 2 Bathroom Garden Apartment � Rodeo Beach.... just 5 minutes to Puerto Banus. With 160 sq.mts built and with terraces overlooking the communal gardens and pool. Fully Fitted kitchen, A/C; parking in private gated area of the development. 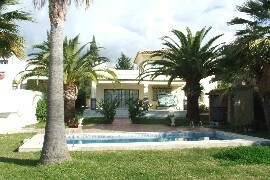 Excellent property for all year living or for those short breaks. Price: Long Term 1600 euros/month. Short Term P.A. Ref: 2745 Beautiful 3 Bedroom, 2 Bathroom Apartment- Puerto Banus.... of over 260 sq.mts, fully furnished with communal swimmingpool, private gymnasium, parking, in the center of Puerto Banus next to Mega shopping centre El Corte Ingles, and just 50mts from the quay side restaurants. Price: Long Term 3500 euros/month. Short Term P.A. Ref: 2974 Lovely Detached Villa of over 250 sq.mts Built on a Large Plot of 1500sq.mts in Elviria, East Marbella.... with 4 bedrooms, 2 bathrooms, fully fitted kitchen, 2 lounges, fireplace direct access onto a large patio overlooking garden, orchard and swimming pool, BBQ, laundry room and big storage room. Parking for 4 cars. Price: Long Term 1700 euros/month. Ref: 2760 Lovely Villa of 4 Bedrooms with Bathrooms ensuite built on 3 floors of 350 sq,mts on a large plot of over 1.700 sq.mts. in Nueva Andalucia.... spacious light and airy lounge, fully fitted kichen, large terraces, panoramic views, garden and pool, loungers, sun shades, BBQ, Sky TV, Wifi, quite area, 10 minutes into centre of Puerto Banus and the beach. Price: See Short Prices.